Cape Town - There has been a substantial decline in the rand gold price from a high of R20 300 to R16 180 as at 30 June, according to the most recent SA Bullion Gold quarterly report. However, this 18%-decline in price does not correspond to the dollar price movement, said SA Bullion chief executive Hilton Davies in the report. "In fact if we go back to just more than a year ago, we see that on 6 June 2016 the dollar price was the same as that at end-June 2017." Davies explained that the reason for the discrepancy between dollar gold and rand gold is attributable to the huge rise in the rand versus the dollar. "The rand appreciated against the US unit by 13% from end-June 2016 to end-June 2017, and by more if one uses slightly different start and end dates." He pointed out that this rise in the rand was not a function of positives for South Africa, but rather risk-on (bullish) trade worldwide. "Investors globally developed an appetite for emerging market currencies and the South African currency benefited from the overall trend. In the prior year the rand had suffered, not from a global trend, but from self–inflicted damage – most notably the firing of the trustworthy and competent Finance Minister Mr Nhlanhla Nene." Davies reckoned that the long term picture of rand gold indicates the present time to be very attractive as an entry point. "The rand gold price has had a recent boom-and-bust and the long-term upward trending support slope has been regained." The report shows that gold priced in US$ has mostly had a slightly declining quarter, following a brief rise in early April. In June, the US Federal Reserve raised the Fed Funds Rate to a target range of 1.00 to 1.25%. This had the effect of raising real interest rates in an environment of slowing, and below-target inflation and poor economic figures. "This action of tightening monetary policy in a weak environment is negative for dollar gold," said Davies. "Our reading of the situation is that the Federal Reserve is anxiously attempting to build some monetary policy cushion for what could be difficult times ahead." However, Davies pointed out that although the Fed has to raise rates, it cannot risk raising rates to a level that might imperil stock prices. "They will look to a very gradual upward trend and keep their fingers crossed that economic growth and inflation follow interest rates up and that stock markets don’t react negatively." Looking into the future, SA Bullion Gold sees rates rising, but very slowly, and being low for a lengthy period. The same applies to economic growth, which is expected to remain low for a lengthy period. It is also the view that inflation will rise slowly for some time and then rising fast as the velocity of money ( the rate at which money is exchanged from one transaction to another) improves eventually. 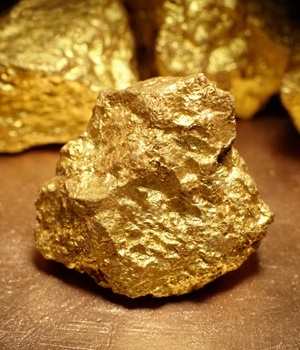 "All of this would spell good news for the gold price in the long term. And it’s hard to imagine that one will get it much cheaper than the present," said Davies.